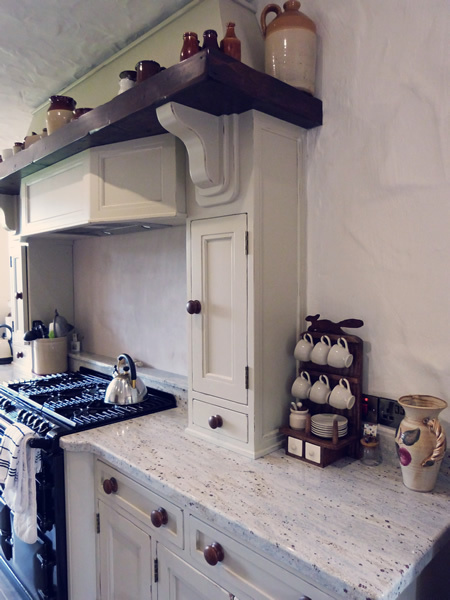 Welcome to Philip and Shirley's kitchen. 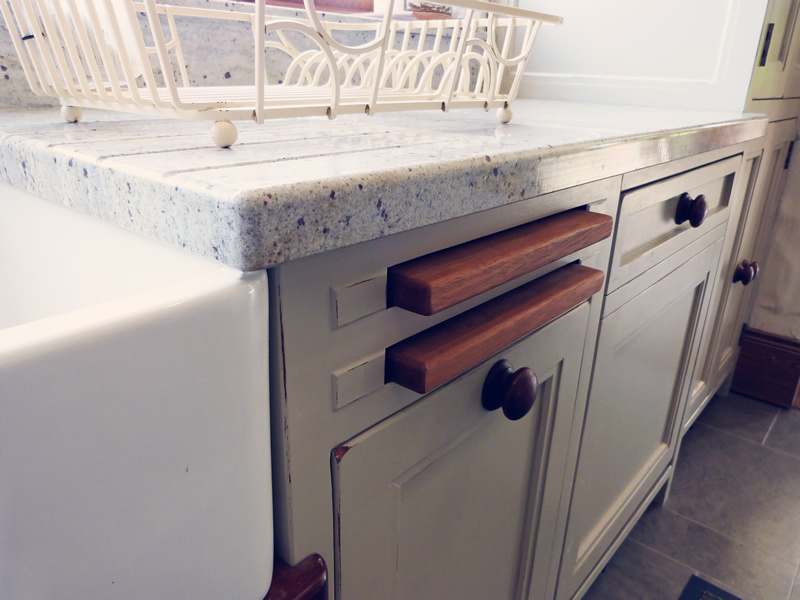 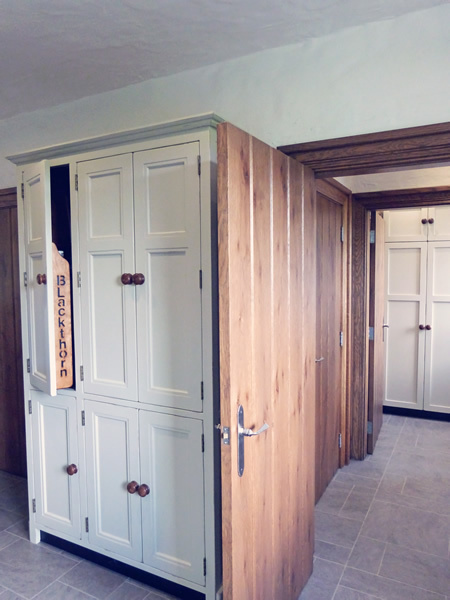 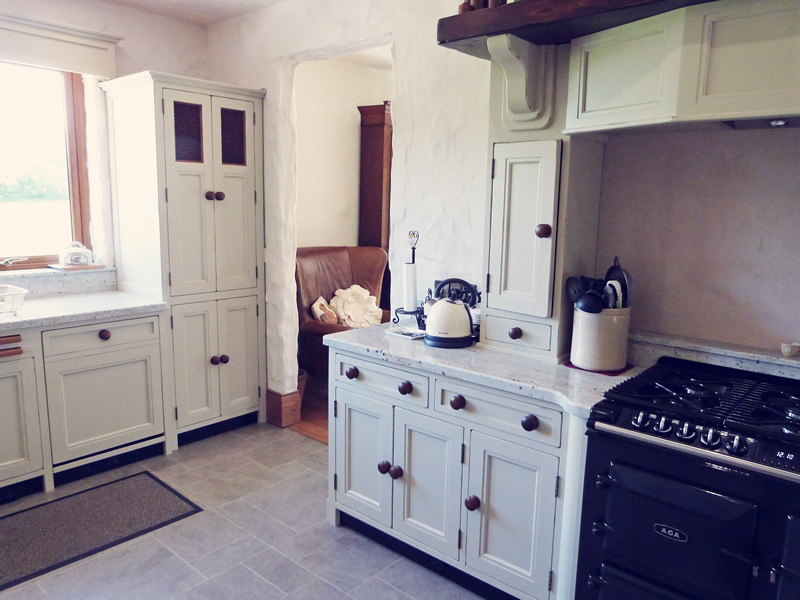 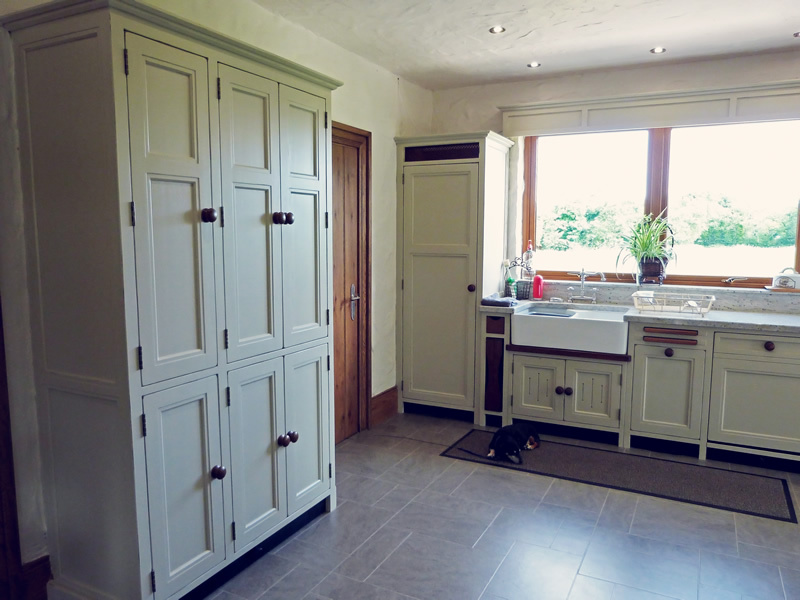 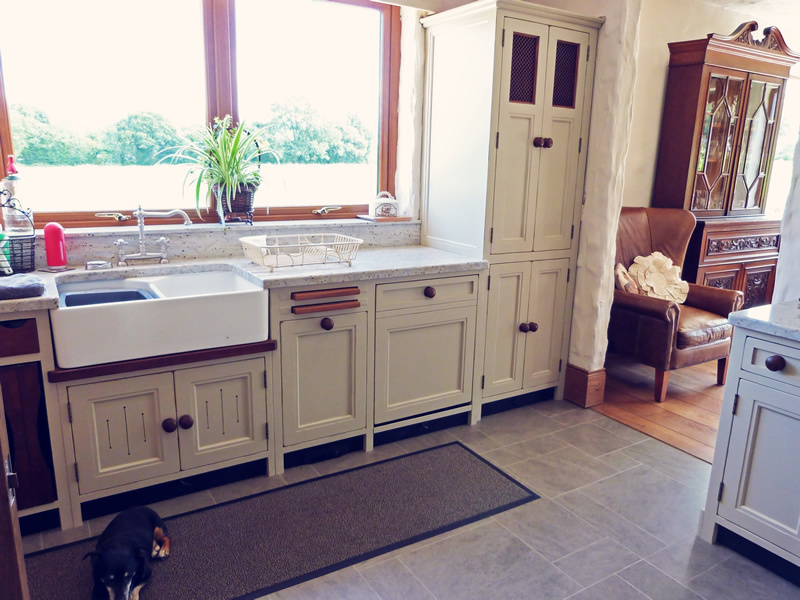 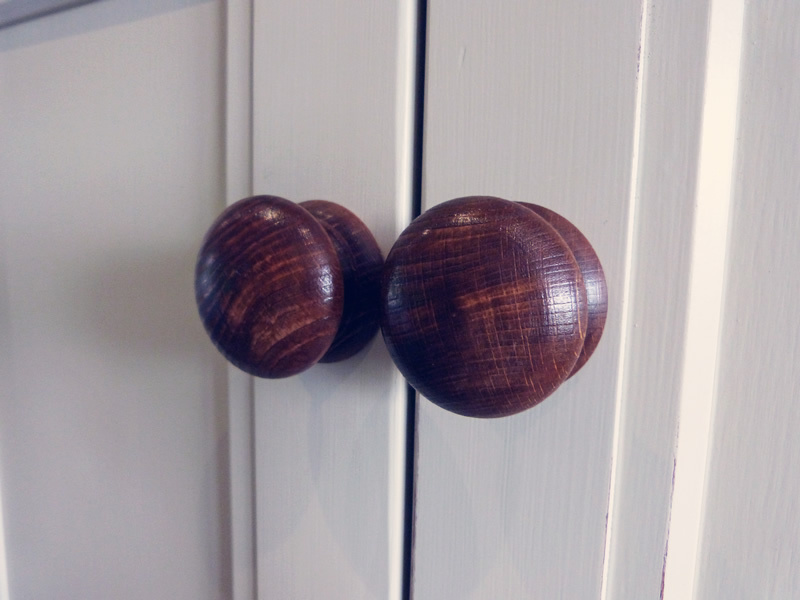 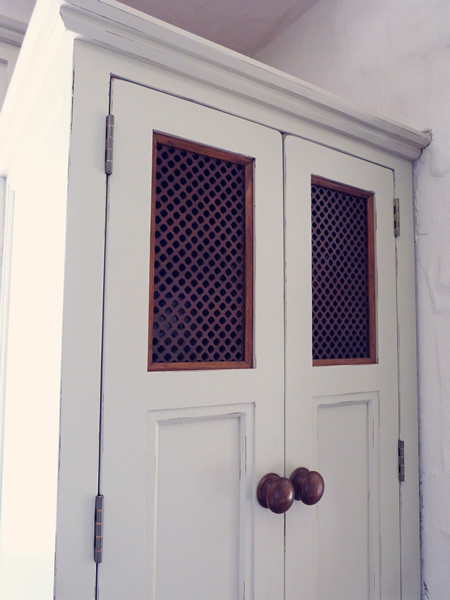 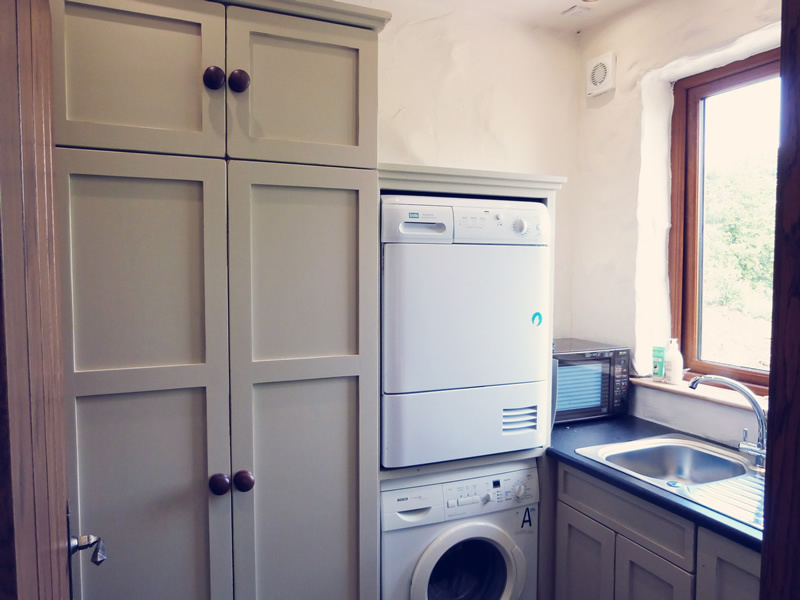 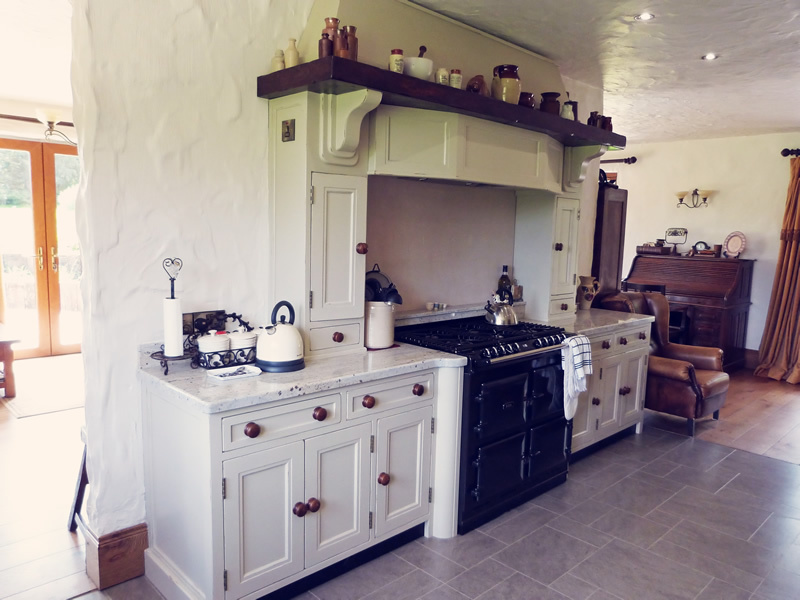 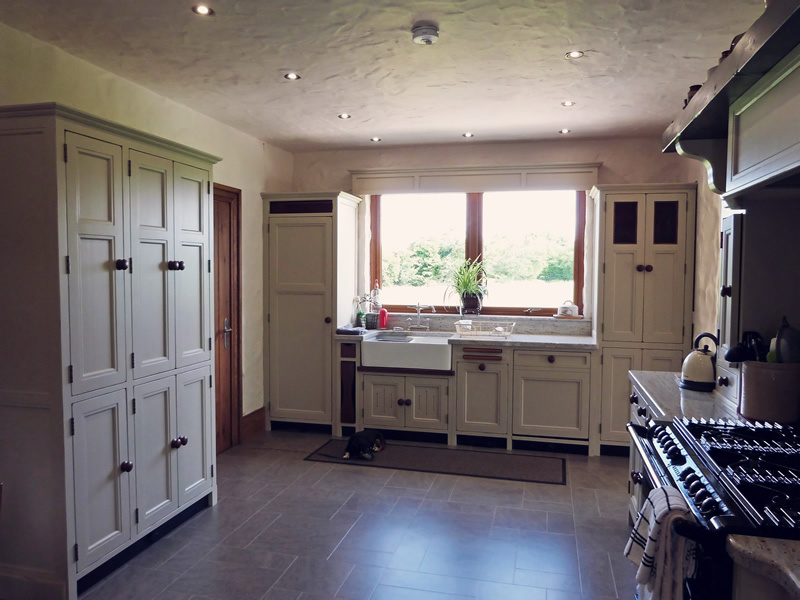 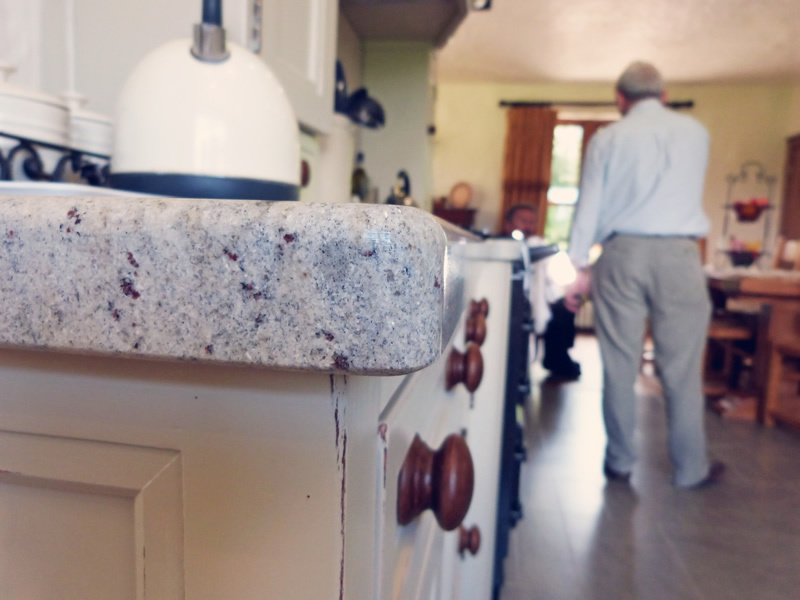 Painted in Farrow & Ball's Stony Ground, with beautiful exposed-wood accents, this kitchen really suits Philip and Shirley's taste for antiques and timeless quality. 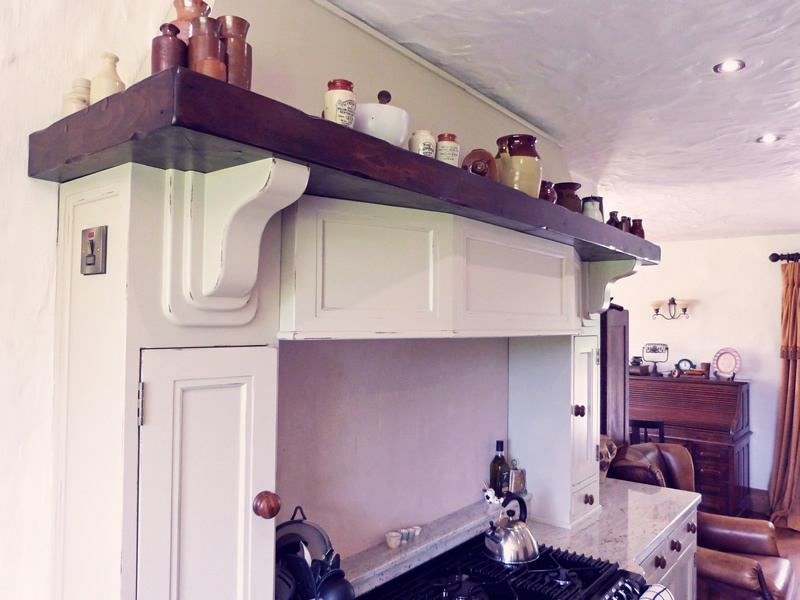 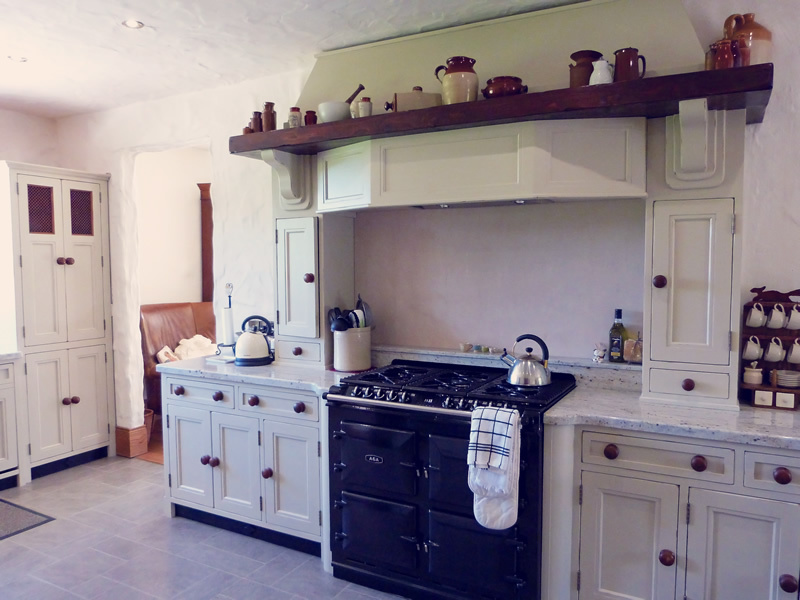 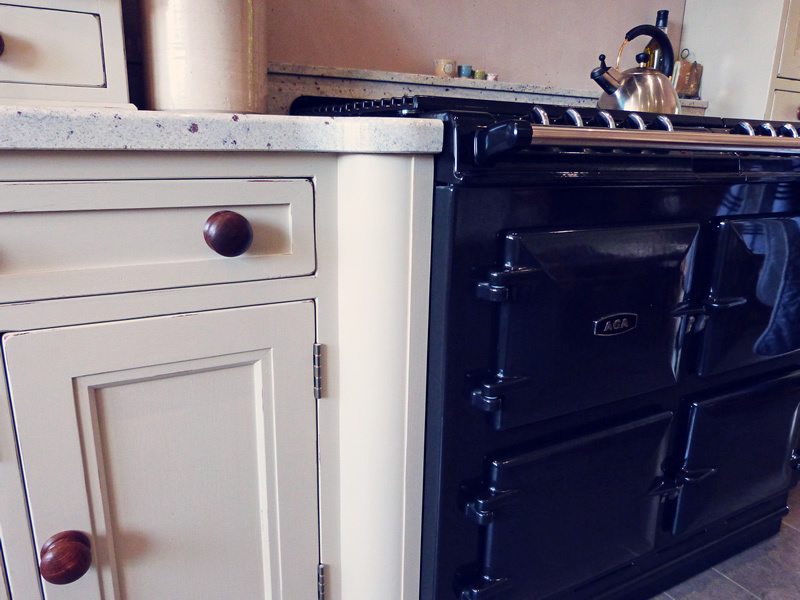 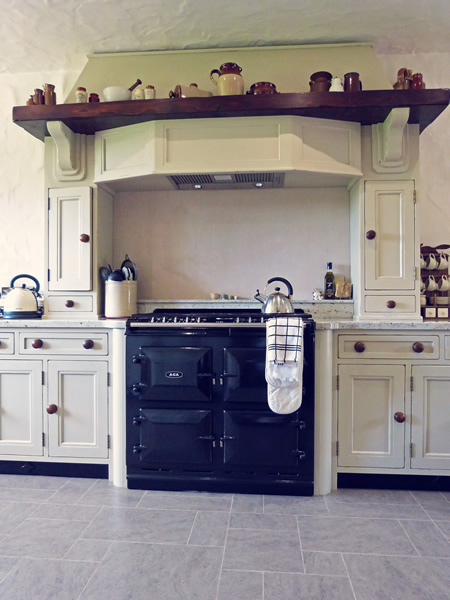 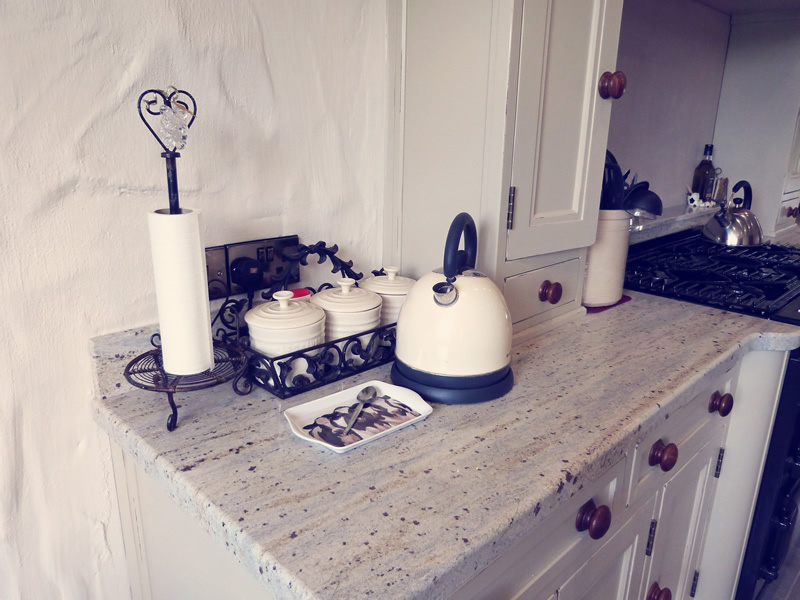 We really like their use of vintage earthenware displayed along the mantel above their AGA.